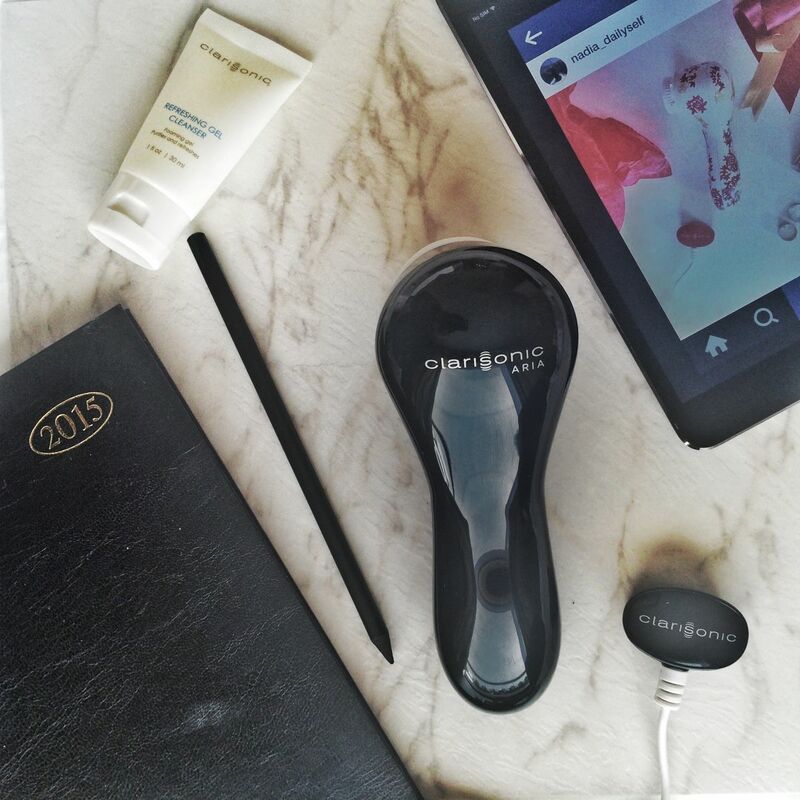 [dt_gap height=”10″ /]When I first heard of the Clarisonic, I was sceptical to say the least. I was of the school of thought that interfering with your face to such a degree of using a vibrating, rotating bristle brush on your sensitive facial skin was asking for trouble, and couldn’t fathom how moving, bendy shards of plastic could feel gentle. Plus I thought it might over cleanse the skin somehow, encouraging more oil production, like what happens when you wash your hair too often and it ends up limp and greasy. Well, I was an idiot. This whirling, humming facial cleansing machine has changed my life, removed the need for an exfoliating scrub in my bathroom cabinet and even helped my face wash last longer – I was using way too much before and only getting half the cleanse. Having used it every day for a couple of months now, my skin is clean, soft and supple in a way I haven’t seen it since I was about 21. Okay, there are a few more wrinkles than there were back then, but you know what I mean. Your first use can be a little daunting – I don’t like fiddling with my pores or squeezing spots, and I’m quite gentle when I’m cleansing, so I was afraid this would feel odd. It’s actually quite nice, and you can’t apply too much pressure because it will switch off if you do. You also can’t use it for too long, as it beeps halfway through and at the end of your cleaning cycle, assuaging fears of being too harsh on your skin. To begin with, I dampen its bristles under the tap, and pop a pea sized blob of Clinique Liquid Facial soap on them. At this point I’ll have already removed my makeup with a wipe, so this is a deep clean and my bristles won’t get covered with beige crap. 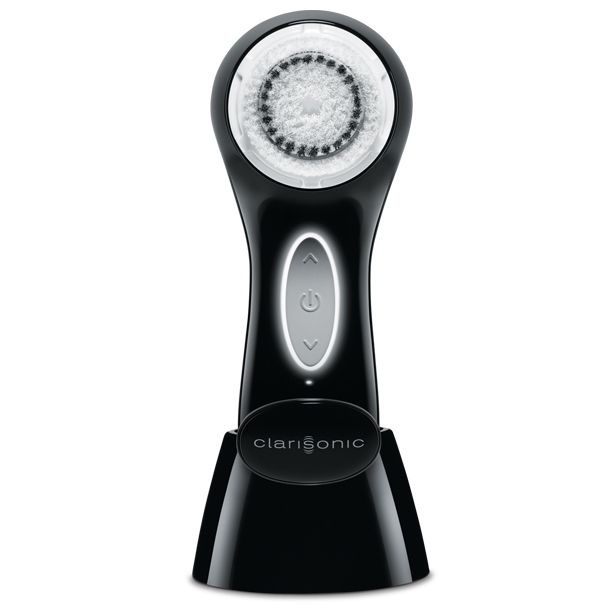 I then glide the Clarisonic around my face and then simply splash with water to rinse. Skin feels squeaky clean, pores tight and complexion fresh. It cleans and exfoliates dead skin at once, really getting the muck out of your pores without being overly astringent. 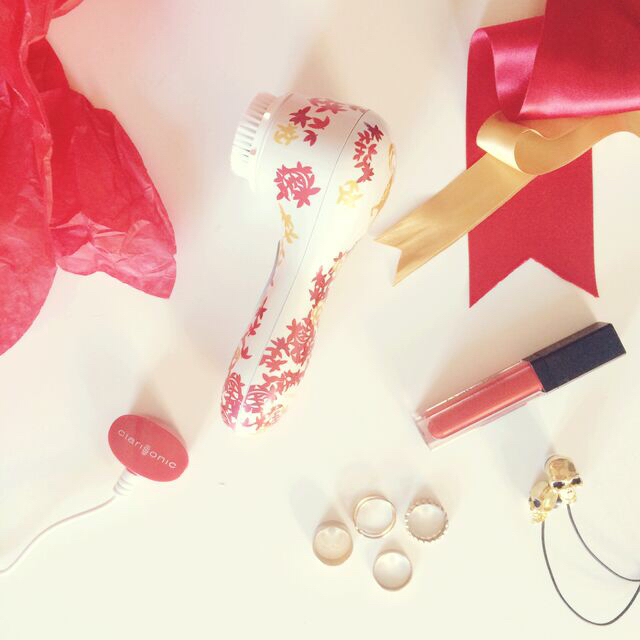 A quick rinse of the bristles and you’re done – you put it to sleep in its little holder. I haven’t charged mine yet, so the battery life is incredible, and when you do need to it’s done with a handy magnet for minimum fiddling. It comes with a stand so it dries off during the day, ready for its next use. The price tag is undoubtedly hefty, but if you’re someone who regularly pays for facials then this will actually save you money. And if like me you don’t want to stop using your current skin care system (Clinique ’til I die), you don’t have to. I still use the same facial wash, clarifying lotion (or toner) and moisturiser – this has simply added another welcome element to an already high functioning regime. I recently came off the Pill due to issues with the oestrogen in it, and I expected my combination/oily skin to go full on crazy oily, because that’s what happened in the past. But nope, I’m still combination, thanks in part I believe to the oil busting capabilities of Clarisonic. [dt_gap height=”10″ /]So how would you like to win one of your own? I’ve got the super chic glossy black Clarisonic Aria (pictured up the top) worth €199 to give away to one lucky reader. To enter you must be subscribed to my blog (enter your email to the right on desktop or below on mobile). Then follow the instructions on Twitter, Facebook or Instagram…or all three for more chances to win! Competition open to UK and Ireland entries and winner will be announced Wednesday 13th May. Good luck!